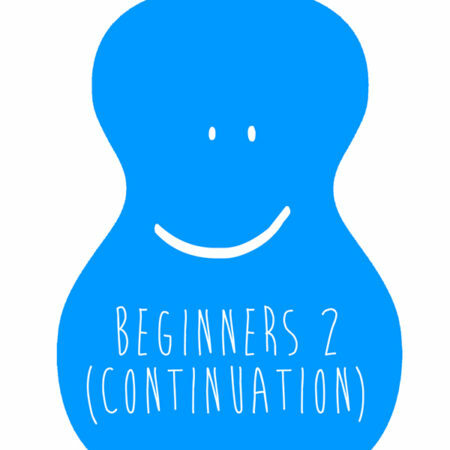 After you’ve mastered the basic chords (including the lovely E chord and Bb chord) and a range of strumming patterns in your 4-week absolute beginner’s course (or equivalent learning elsewhere), you’ll be ready for more! The Beginners 2 course is designed to accelerate you with a leap up towards the Intermediate course material. If you want to explore your position 1 chords, add lots more strums, basic picking and add a bit of sophistication to some really popular songs before moving onto even more extra rhythms and barre chords in the Intermediate Course, then this is the course for you! A lovely little pub, a Monday night, 15 nice people, a large glass of Red wine my Ukulele and Lorraine. Brilliant. Not only did i learn to play the uke better but i laughed every week too. Lorraine is funny, engaging and a brilliant teacher. I learnt so much in these 4 weeks, this course catapults you from ‘beginner that struggles’ to ‘beginner thats quite good actually’!, as soon as i knew i could carry on i booked for the next course. Ok, so it’s pretty cool being a caterpillar and completing Absolute Beginners but the metamorphosis you experience with Beginners 2 is incredible. And the progression doesn’t require you to buy a new fancy uke; Lorraine taught on us using the same 20 quid uke I use. Lorraine is such a talented teacher and amazing uke player (so times I found my self just watching and listening rather than taking in the instruction). Lorraine’s skill is managing the class, each student overcoming their own issues, at their own pace, and being able to inspire confidence to bring it all together. And then when you think you have mastered it, Lorraine is able to show you there are so many more cool tricks and techniques waiting. It is so hard to explain the thrill of playing a passable rendition of Eye of the Tiger, the addictive pleasure of playing Erasure – A Little Respect, or picking through Radiohead – Creep. Or being able to turn up at a Ukulule Wednesday, playing along without being daunted by the tunes. The pace is much faster than Absolute Beginners and you really need to practice each week. Despite sticking to the 3 songs per night format, different chords, strums, rhythms, and syncopation make things challenging. And such a good feeling when you nail it! With a past history of failed attempts at learning multiple instruments, I’ve never seen myself as musically inclined. But a fun serious instrument, the online reviews, the guiness world record for the easiest instrument to learn and I thought lets give this a shot. I haven’t regretted it since. Lorraine is an absolute star, patiently guiding over a dozen people who sometimes want to do different things, encouraging us with our practice, and helping us become ever more confident at attacking ever more complicated strums, picks and melodies. Finishing Beginner’s 2 (Beginners 1 at a push) allowed me to attend Ukulele Wednesdays, which are a group of uke’rs happily strumming away to songs on the Ukulele Wednesday’s songbook every week, and it’s a regular highlight of my week. For someone who’s never seen themselves as musically inclined to be able to sing and strum away with a bunch of shiny, happy uke’rs is a gift I never thought I’d have access to, but am very grateful for. Thanks a bunch Lorraine for bringing this wonderful instrument to the masses. Wonderful cameraderie and support. Do it!!! Great course as usual – there’s a big gap from the first beginner course but it is overall enjoyable and I learned a lot and am going straight to intermediate! Recommended! I really enjoyed this course. It was paced just right for me and I loved the song choices. Loraine was very helpful and loads of fun to learn from. The song sheets and online support videos made practicing at home afterwards easy and fun. attended beginners course – thoroughly enjoyed – well presented and structured. Will certainly do further courses. Really enjoyed the course – 4 weeks of great fun and great progress! Really enjoyed the course. It’s been pretty challenging, but lots of useful advice & consequently my ukulele playing has improved a lot! Great fun, logical structure that ensures progress, friendly teacher and lots of great tips to help you along. Without doubt the best adult learning course I have experienced. I would recommend it to anyone without hesitation. The pace of this course is much faster and it was a big step up for me. Lorraine explains things more when you get stuck so I felt I’d really improved and got somewhere by the end. Plus, it was really fun! The lessons are good fun, well structured and paced, ensuring that we have enough songs to practise. Lorraine is reassuring and answers all questions. Recommended. A fun and challenging course, I definitely learnt a lot! A steep jump from Beginners 1 to Beginners 2, but it gets easier after Week 2. Definitely put time aside to practise. Having said that – great structure, great songs, and I’ll definitely be returning for Intermediate next month as I’m ready now. Highly recommended. So much fun! Really moved me on again with my playing and introduced new techniques to make my playing more interesting. Loved it!